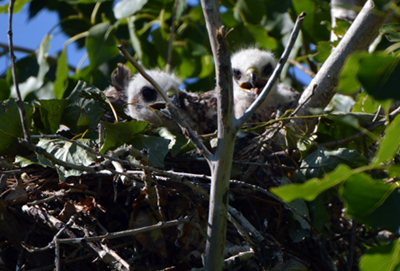 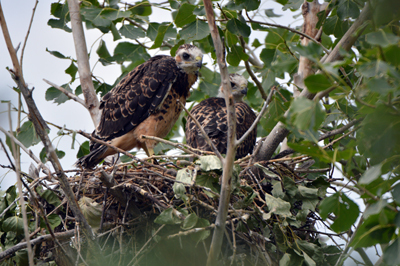 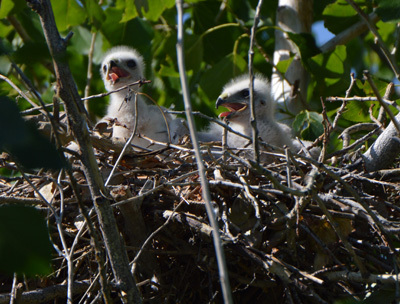 In 2014, our Swainson’s Hawks had 2 chicks. 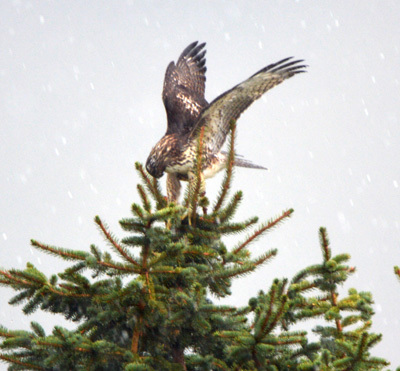 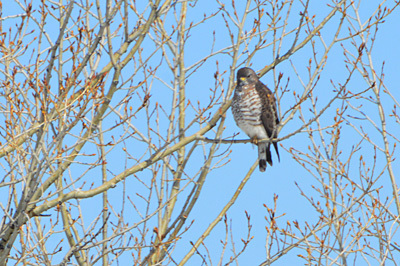 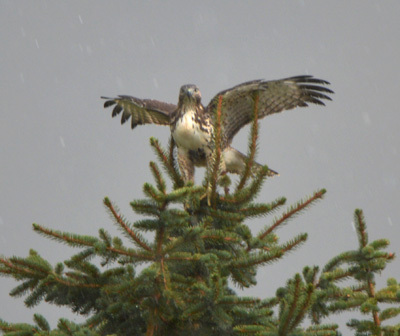 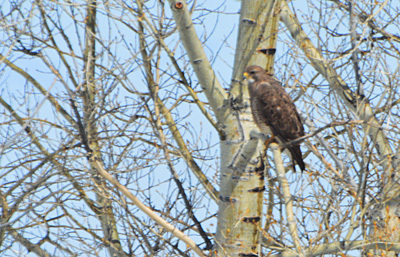 Swainson’s Hawk – This hawk was out in the open during a hail storm! 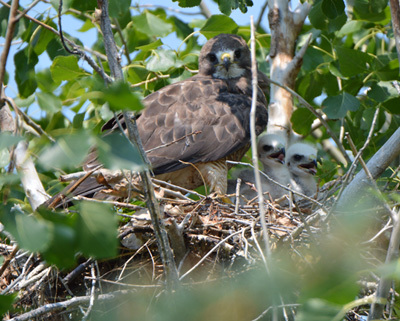 Swainson’s Hawk – full grown chicks! 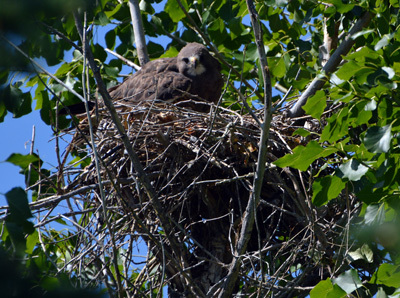 Swainson’s Hawk – Mum shading her chicks on this 31°c day. 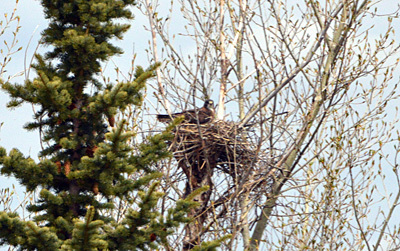 Swainson’s Hawk – had to rebuild their nest as the wind blows it down every year.